Rejoice! Brexit will mean not just our country back from the strangehold of the EU. Brexit will also mean the return of the tangible symbol of what it means to be British: the blue passport. The blue passport, after all, is a symbol to which we can all relate and lament. A symbol which can be rightfully returned to us now we have left the neo-imperialist European super-state. We have our rights back. Of course none of this is true. The EU never imposed the colour of passports on member-states. The EU does not even impose common rules of citizenship across member-states. But, I wouldn't be so quick to assume that blue passports are meaningless. Look beyond the UK and you don't have too look far for a precisely red vs. blue passport domestic and cross-border debate: Moldova. It is not for nothing that I tweet #MoldovanBrexit every second day. In Moldova, the blue passport demonstrates the world in which Moldovan citizens are situated. A world where their rights to access spaces outside are limited (especially before 2014). It is the crippling costs of applying for visas, the crippling bureaucracies of applying for visas, the crippling time it takes to apply for visas, or the not-unlikely incidence that you might have to travel to a third-country intermediary (and acquire a visa for the third-country) to apply for the visa for state you want to visit. The red passport meant the end to all this. 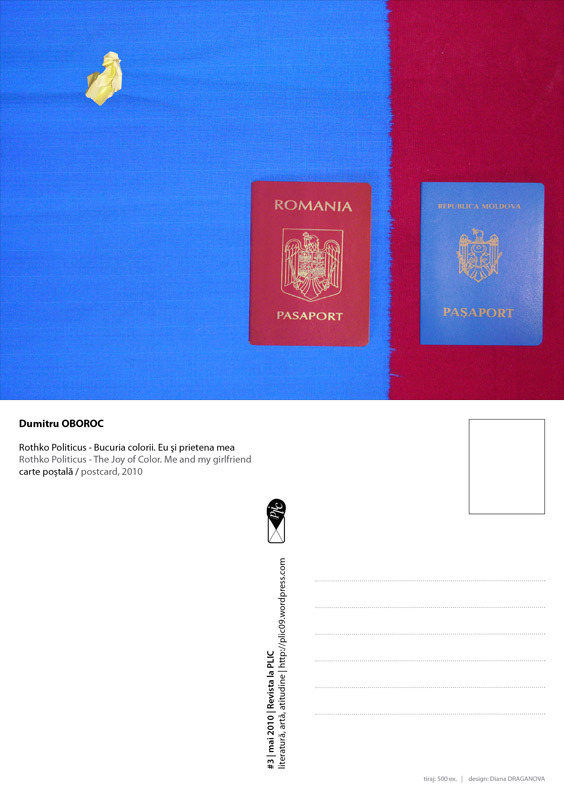 Before 2014, the red passport meant acquiring (or reacquiring) Romanian citizenship (and EU citizenship). The red passport meant secure the acquiring the rights, status and belonging that Moldovan citizenship could not provide. Since 2014, the red passport has also come to mean the fresh-faced Moldovan e-passport. Moldovans can now travel visa-free to the Schengen area so long as they have a red e-passport. The colour of the passport, of course, was not imposed on Moldova. The Moldovan state chose a red passports to show harmony with the EU (and the overcoming of the barriers of the blue passport). The EU did, however, insist on the e-passport for those wanting to travel visa-free to Schengen countries. You have to wonder, then, why the UK would willingly give this all up. The UK government want us to believe that the blue passport is the symbol of all we lost by joining the EU. The blue passport transports us back to a time where British people could decide their own law. To a time where we could decide, incidentally, not to have a minimum wage or paid maternity leave. But, the blue passport is the symbol of all that we are giving up. I'm not all gloomy about Brexit. Brexit might be precisely the post-colonial reckoning that Britain needs: a shake of realisation that Britain cannot force the EU, China, India and the US, among others, to yield to it. We will be the country forced to yield, not the other way around. When the UK sees India, it sees a land of hope and opportunity: markets, people and skills. When India sees the UK, it sees a now provincial and former colonial overlord. Britain may remain blind to the this reality gap. It might remain blind to the everyday post-colonialities of the twenty first century. But Britain will experience this reality gap whether it can see it or not. More likely, of course, Brexit will perpetuate Britain's victim-framing narrative. It will not longer be the EU victimizing the UK from within, imposing non-sensical directives. It will be the EU victimizing the UK through Brexit; punishing the UK for wanting a clean divorce, crippling the City to serve its own ends and preventing us from trade deals with those queuing at our door. We already see this narrative taking shape. But, Brexit will mean a curtailment of Britain's rights and status in the international world, within and beyond the EU. The periphery is waiting for us. Let's go meet Moldova.